Rheumatoid arthritis (RA) is a painful condition to have. It can also be very debilitating if not managed correctly. Here at Haym Salomon Home, we see first hand how this autoimmune disease can affect our residents and our patients. That’s why we’ve developed and refined systems of care to help sufferers. These systems can also go a long way toward slowing the progression of rheumatoid arthritis. 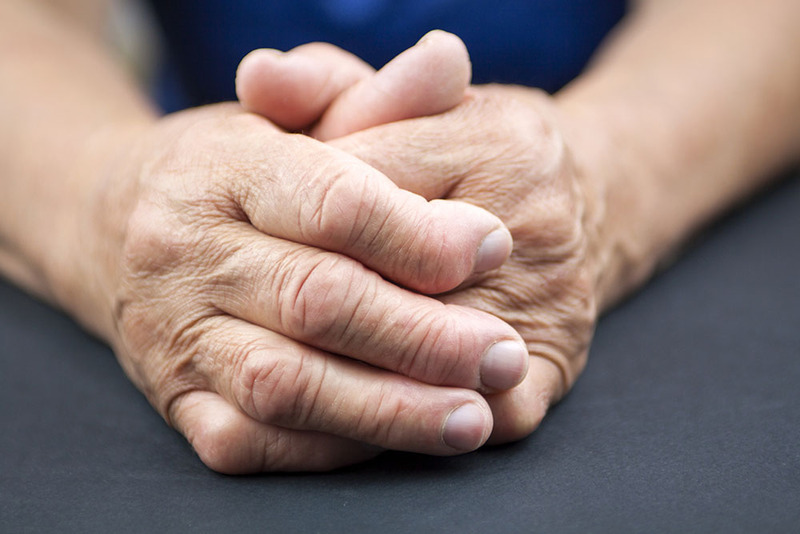 A common misconception is that rheumatoid arthritis is a disease that affects only the elderly. In fact, people of any age can be affected. Many of the patients which we help with managing the condition are actually in their 40s and 50s, and even younger. It is true that rheumatoid arthritis is a progressive disease. This means that as a person with the condition ages, the condition worsens with time. Most people with the condition are diagnosed between the ages of 30 and 60 years of age. But children have also been diagnosed. No matter your age, we’re here to help you with managing your RA. Not all of our RA patients are residents, many come for day care only. If you or someone you love has rheumatoid arthritis, there is a higher risk that other conditions may develop. For this reason, good care is very important. Unlike some other forms of arthritis, the process that causes pain in your joints with RA can affect other parts of your body, including your organs. Because of this potential, medications must be taken exactly as prescribed. We make sure that all of our patients’ medication schedules are properly adhered to and that any possible side effects from those medications are watched carefully. Our highly experienced team of medical professionals is always on hand and available to make sure you receive the highest level of care. Certain foods and lifestyle factors may contribute to, or cause flare ups, of rheumatoid arthritis. Our menu is packed with healthy foods and choices. Many of these foods may actually do a lot of good when it comes to slowing the progression of the disease. Physical therapies, designed to be suitable for RA sufferers at all stages of the disease, are regularly run by us. We aim to make our patients and residents as mobile as possible for as long as possible. Because there is the potential for RA to affect not only your joints, the condition must be treated as a serious one. Rheumatoid arthritis is an autoimmune disease. This means that your immune system mistakenly attacks healthy cells. If mismanaged or left untreated, RA can lead to your immune system attacking other parts of your body. This many include organs such as your lungs, your kidneys, and your heart. With the right diet, physical therapy, and medication treatments, rheumatoid arthritis can be slowed and correctly managed. Our team here at Haym Salomon Home for Nursing and Rehabilitation is very experienced at helping our patients manage their RA and achieve their best lives possible. Please get in touch with us for further information on how we can help you or someone you love with rheumatoid arthritis today.